In Granada, you can enjoy five protected natural areas: the Sierra Nevada National Park and 4 Natural Parks (Baza, Castril, Huetor and Sierra Tejeda). These parks are ideal and highly suggestive to develop a tourism nature intense and rewarding spaces. 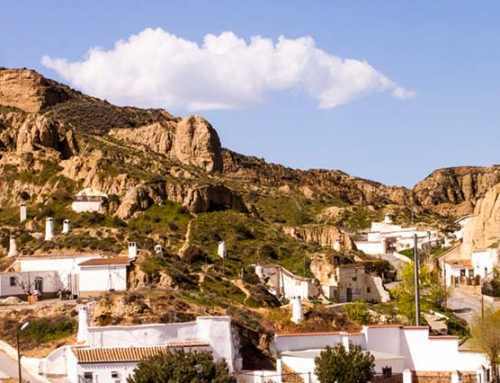 It is southeast of the city of Granada, also comprising the accidental end of the province of Almeria and represents the natural systems linked to medium and high Mediterranean mountain. Siemprevivas, Tirana, chamomile of the Sierra, Sierra Nevada violet, star of snows, poppies Sierra Nevada and aconite are part of the more than 2,000 plant species (66 exclusive endemics) very striking and colorful, living in Park. 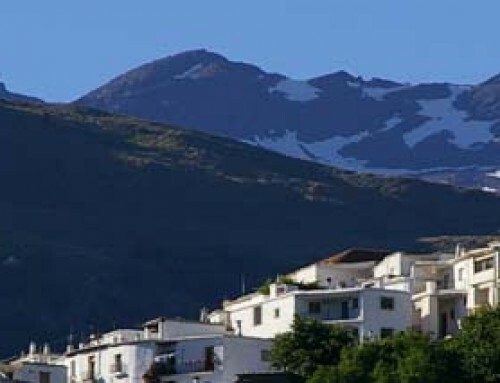 The most notorious is the relief of Sierra Nevada with soft shapes and ridged peaks, although localized solid sectors, such as the head of the Genil, can become rough and steep. Here the highest peaks of the Iberian Peninsula are located, emphasizing Mulhacén 3,482 m. The relief also has an extraordinary geomorphological interest due to the forms of glacial and periglacial modeling and the existing, still active, peroglacial dynamic that continues to act from the 2,500-2,600 m.
As for vegetation, Sierra Nevada is an exceptional haven for flora and biodiversity in Europe because of its historical conditions, to its geographic isolation, the abruptness of ecological gradients and the diversity of ecological niches. It has cataloged 2,100 plant species, 116 of which are threatened. The fauna of Sierra Nevada make, especially linked to high mountain habitats, amphibians, reptiles, mammals, birds and a rich insect fauna with 80 exclusive endemics. , Usual in the high peaks, ibex is the most characteristic species in the park. A few minutes of Granada, represents a great natural lung. Most of the land is covered by a pine forest repopulation. However are large patches of oak forests as well as, to a lesser extent, some gall oak groves and oak and maple. It highlights the wide variety of animals: the mountain goat and wild boar as large mammals, fox, genet, weasel, marten and the wildcat as carnivores, and rabbits, voles, badgers and dormouse. Birds of prey include the golden eagle, goshawk, owls, hawks, booted eagle, owls and tawny owls. Other birds of note are the blackbird, robin, mosquito nets, partridges, jays, etc. Among the reptiles are several species of lizards, the ladder snake and the Montpellier and vipers. 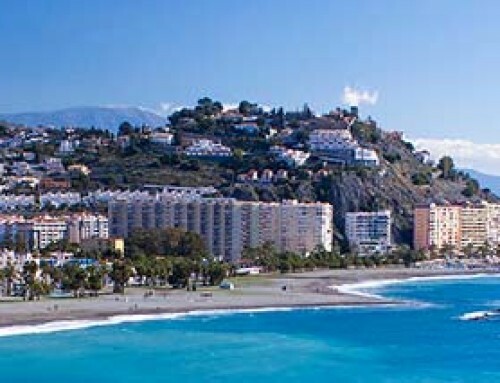 These mountains are a mountain range that form a geographical barrier between the provinces of Malaga and Granada. Dominate the pines, settled on the white sands generated by the decomposition of the marbles. Thus, the development of Aleppo pine is possible to Scots pine, with very different requirements, through the pine, Corsican or salgareño and even famous. Also among trees and shrubs the range goes from the palm, brier, Bayon, the revientacabras, the characteristic boxwood coastal proximity, to the mostajo. They are also noteworthy formations savin dwells with ephedra. Nor can we forget the broad range of herbaceous plants characteristic of those sands and dolomitic crags, in its most endemic. These include Linaria amoi. 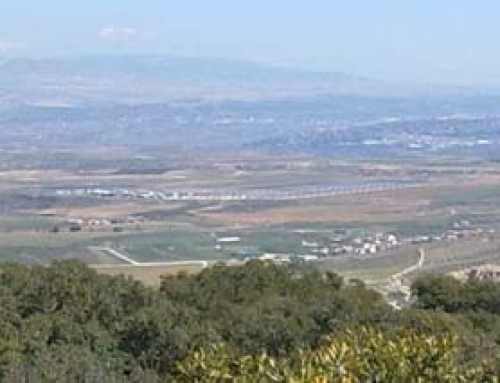 As for fauna, its main importance lies in the longitudinal extension of the massif, which connects the malagueñas saw with the neighboring Sierra Nevada and acts as an important piece in the dorsal forming the Betic Mountains, which connect the field of Gibraltar the peninsular Levante. A clear example of this corridor effect, has been the recent colonization of the territory by the common squirrel, settling in less than three years from one to another extreme in these mountains. In this small world of trees and crags, it is worth noting its birdlife. It is remarkable the presence of large eagles as real, Bonelli, road and culebrera, plus peregrine falcon, goshawk, nightjar, forest birds like the peaks and mountain birds, highlighting the collalbas, red rocker, the Blue Rock Thrush and Alpine Accentor. But without doubt, the animal better known in these mountains is the mountain goat. Located northwest of the province of Granada, it is part of the Eastern Cordillera of the Andalusian Subbético system. The main feature of this natural space is its spectacular limestone relief, with sinkholes, caves and galleries. In Sierra Seca is the Cueva del Muerto and the Cave of Don Fernando, the deepest and length of Granada. The vegetation of the Sierra de Castril is the characteristic of Mediterranean forest, with oaks, oaks, mastic and arbutus. The rivers are rich in trout and have the presence of the otter. They are important populations of mountain goat, wild boar, and mouflon. Among the birds of prey include the golden eagle and the griffon vulture. It is distributed between the towns of Baza, Caniles, Dollar and Zalabi Valley. One of the highest value ecosystems in the Sierra de Baza is the pine forests of native high mountain. Panaceas two tree species are those which consist primarily these pine: Pinus sylvestris subsp. Nevadensis and Pinus nigra subsp. Salzmannii. The oak occupies in this saw all bioclimatic except oromediterranean, and extends from the basal area (1,000 m.) Until 1800-1900 that amounts in certain Carrasquilla or sunrooms as the Cerro de la Virgen, south of Calar Rapa. Juniper, along with juniper, is abundant throughout the central massif, where we can see how this colonizing old dumps of abandoned mines and upholster important tracts of land. In fauna, raptors such as golden eagles, driveway or culebrera, goshawks, hawks, falcons, buzzards and kestrels, not forgetting game birds such as partridge, wood pigeon and brave, or thrushes, a tireless winter visitors. They are also listed carnivorous species such as the weasel, badger, polecat, marten, wildcat, genet and Fox, plus deer, wild boar and ibex, as most representative species of hunting. Reptiles and amphibians highlight the bético painted frog and toad bético two béticos endemism. We can not forget the insects, many of them endemic like the grasshopper and calares beetle or butterfly Baza has in the region of the Hoya de Baza the only place world location.